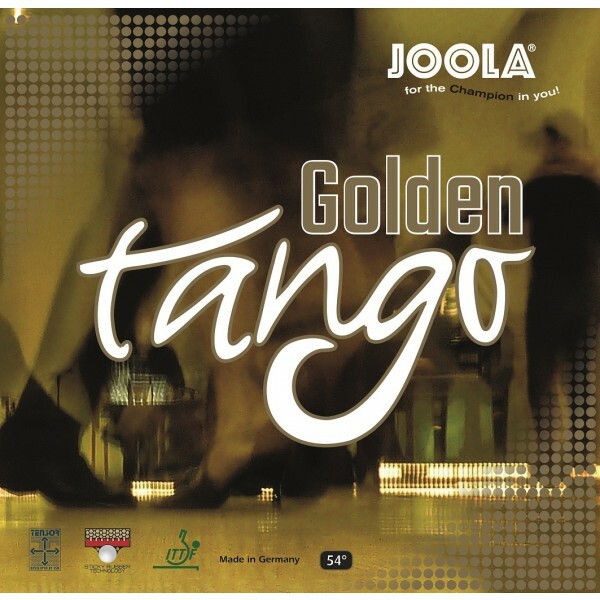 New and unique from JOOLA. 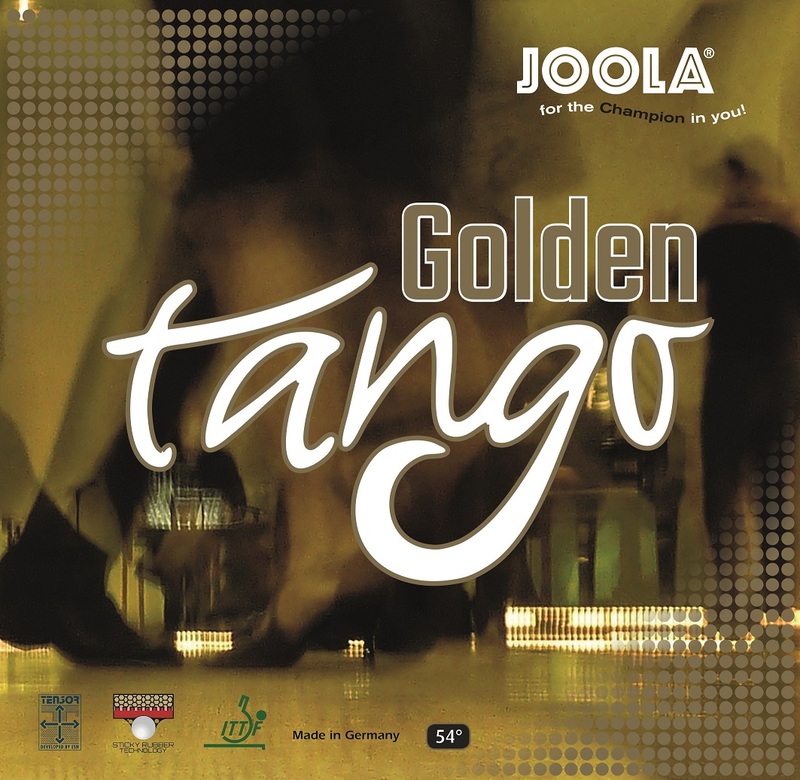 Requested by many players, Golden Tango comprises a semi tacky ‘Chinese’ type rubber surface but mounted on a German tensor 54° sponge. 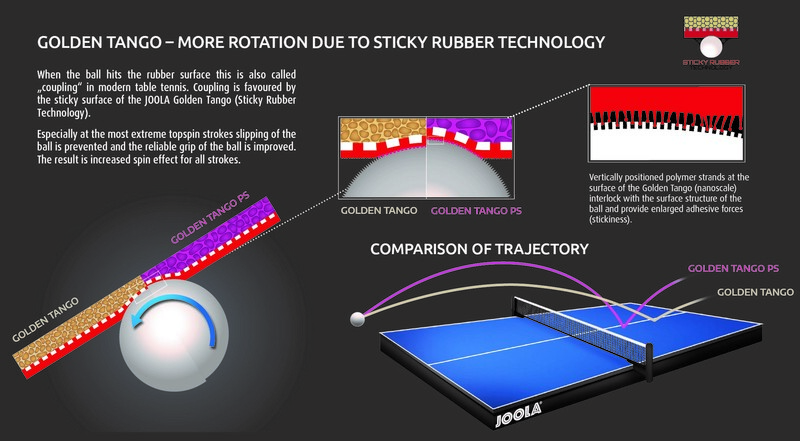 This gives the advantages of high rotation Chinese rubbers but with the huge benefit of added power and elasticity of tensor technology allowing easy play from mid distance with arching trajectory. 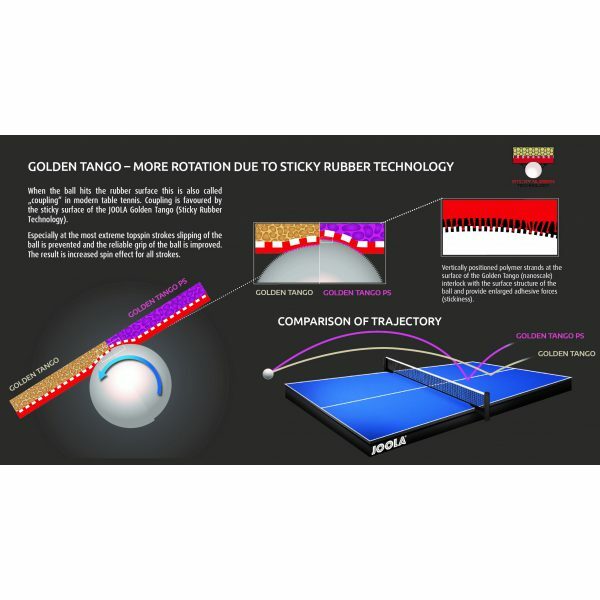 The special molecular structure of the sponge gives improved elasticity but is also very forgiving and results in great control and spin; play at the table or mid distance plus easy defensive retrieving strategies. The semi tacky surface offers maximum grip, creating loaded topspin and chop strokes at the most extreme blade angles.